I am always sceptical about ordering from the internet and i have VERY rarely done it. 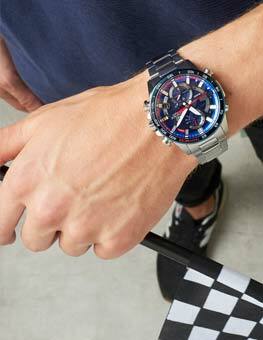 However, I was searching watches and found this site, I looked at other sites selling watches and returned to this site. I received the watch a few weeks ago and I would like to confirm I made the correct choice to buy from these. The sale was EXCELLENT from start to finish. They have been informative, caring and a pure pleasure to buy from. I will buy from this company again without a doubt, they ensured a TOTALLY stress free transaction. I received notifications throughout regarding delivery and advice when receiving the delivery and they made me feel totally secure about the purchase. Delivery was very quick too! Thank you The Watch Shop! This was more than just a watch purchase, it was service out of this world! 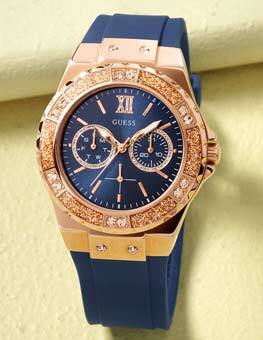 Nice watch, looks more expensive than it cost. Thanks. it as much as we do when he gets it ! 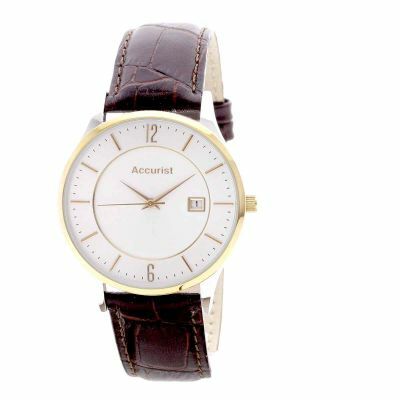 My Accurist MS648 is just what you need to have a good looking watch attached to a good looking person. Its a great time keeper and easy to see in all our varied light levels in the UK. When I purchased it, I did not expect it to arrive showing the exact right time and date and smiled because I hate having to use the winder to set the time and even worse if the date is wrong. So thank you watch shop for giving me a great watch. This is an excellent watch. The strap is and looks like quality brown leather and the face complements this perfectly. bought as a present for my father and he loves it. Excellent service. Watch lovely better than I expected. Fast delivery . My son was absolutely delighted with it. The product i received is absolutely lovely. I love the look of it and the feel of it. The watch is exactly what I was looking for. I brought it as a Christmas present and I really think the person receiving it will be very happy. There isnt anything that I dont like about this product. The colour is lovely and I believe that it will go well with all kinds of outfits. The shape and the whole look of the watch is very pleasing to the eye. Excellent value for money and stylish too. Would recommend this product. An excellent product and great value. Would recommend without hesitation. Looks a lot more expensive than it actually was! Why pay silly money for a fancy watch when you can get this quality for such a good price. I bought it to replace a very similar Accurist watch which is still going strong after ten years. Only problem was a broken strap and my local jeweler wanted £30 for a new one! Made this purchase a no-brainer and in fact I was so impressed I bought two of them! lovely watch with classic features. looks simple, yet elegant. looks like a much more expensive watch. has been much admired. I bought this watch for my Dad as Christmas gift. 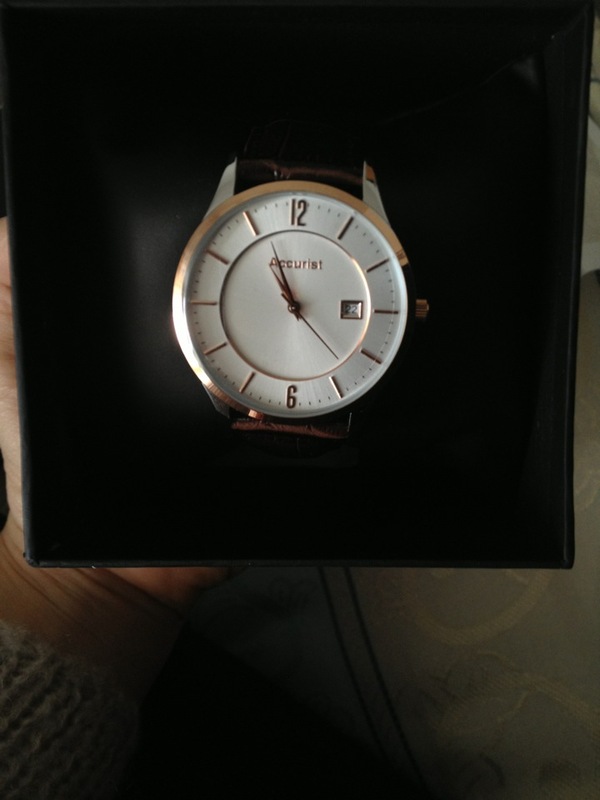 It was really a very smart look watch and my Dad just loved it. However today I rang my sister who lives with my Dad and said that the golden bits which placed on the watch screen to indicate the time came off. My Dad kept it and did not inform me as its a gift from a daughter and thinking that it might disappointing to me. It happened just after 3rd day of using the watch. But today I came to know from my sister. It is really disappointing that I presented the defective gift to my Dad. I bought so many watches from watch shop last year but why its happened with my Dads one. So disappointing. I could not even bring the watch to replace it as my Dad lives in Bangladesh far away from me : ................ Sorry WatchShop!!! 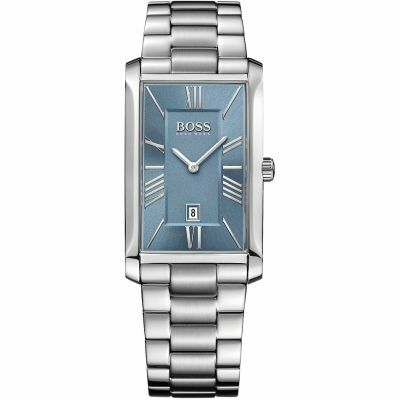 Beautiful product ...present for my husband for valentines day ...great design clear numerals overall very impressed.. 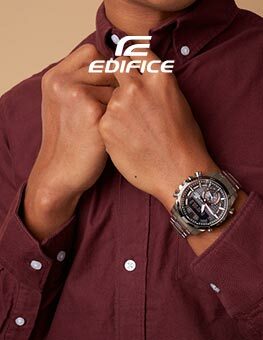 This attractive watch is easy to see with a large clear watch face.The date is also clearly visible and easy to adjust. The brown leather strap is a nice shade of brown, very comfortable and extremely classy looking. 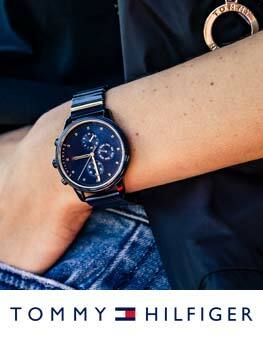 The watch has an expensive look and feel to it despite being very reasonably priced. It was bought for my husband who loves it and has been admired a great deal by my 22 year old son.....obviously a style to suit young and old. A very successful purchase! Gift for my dad. It was perfect gift for my dad and hope he will like it as Christmas gift. Bought the watch for my sons 30th birthday. The colour is perfect and I chose this one because it had a slim case. The brown leather strap goes very well with the case colour. Hope he is as happy with it as I am. This watch appears excellent value for money. The colours and overall finish of the product dont give away that it is very much in the low price sector. The only thing I think could be improved at the price is the packaging as the cushion that carries the watch is not a particularly good fit in the presentation box it comes in. Perhaps only a slight problem and then only relevant if you are purchasing the item as a present. Great watch! I like the slightly retro look of the dial. A good size and weight for the wrist. This watch is wonderful design. I am very satisfy about this. The colour is perfect match with the sample in website. Its a gift for my friend and he also loves it.